“Gözetleme” was put in the darker corner of the room with an intention to refer to a possibility of hope even in the darkest times. 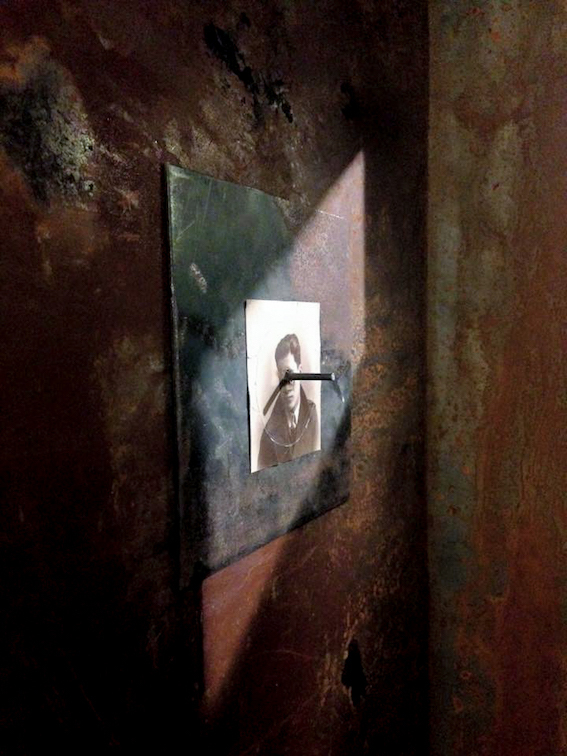 The viewers were expected to get inside the cabin, where they could look outside from the small window, that is similar to a window on a prison cell door or could see themselves from the reflection of shiny metals positioned both in the ceiling and on the floor of the cabin. Above the window of the cabin, it was written “Maybe one day” on a piece of paper to support the idea of celebrating hope that may pursue even in the darkest corners. It was intended to raise different questions in the viewers’ minds by making the viewer come across with the invisible gaze of the portraits in the paintings. 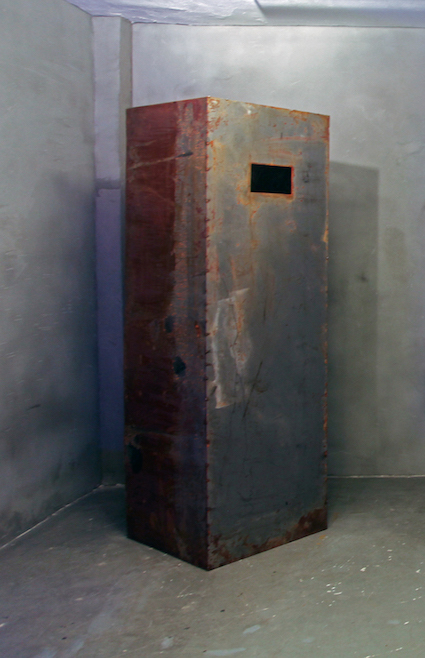 The cabin “Gözetleme” was made of rusty steel as a reference to the material of the torture machine that was mentioned in Kafka’s story “In the Penal Colony”. It was intended to give the same feeling as Kafka described for the machine. “Gözetleme” aims to ask questions to the viewers/experimenters if they being watched or does the “statesmen” watch? As the questions of same feelings in Panopticon Mechanism.